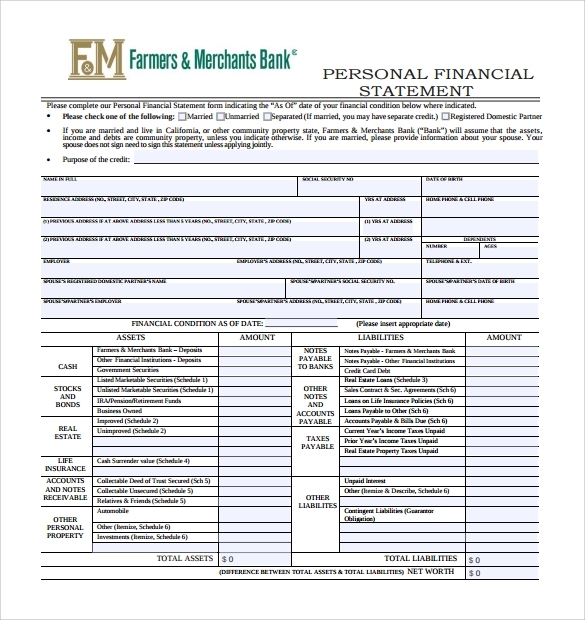 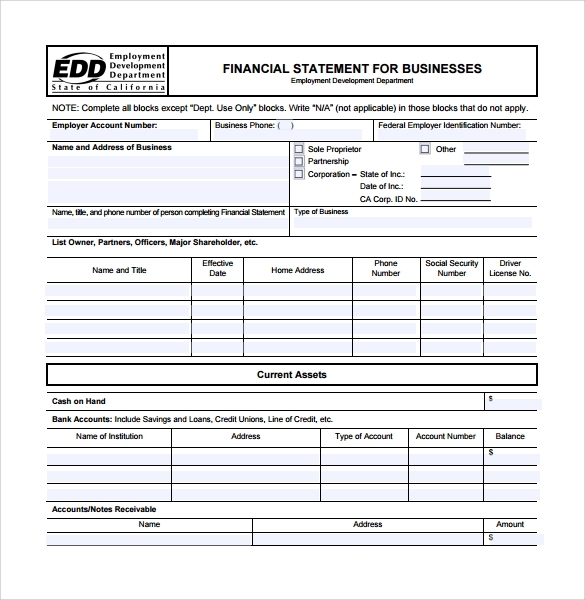 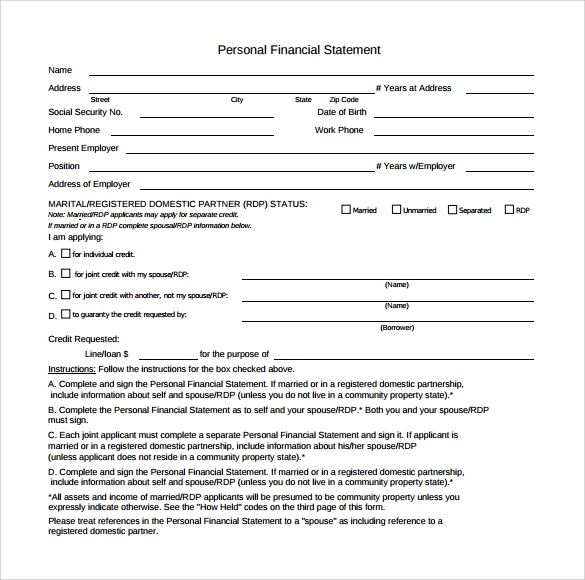 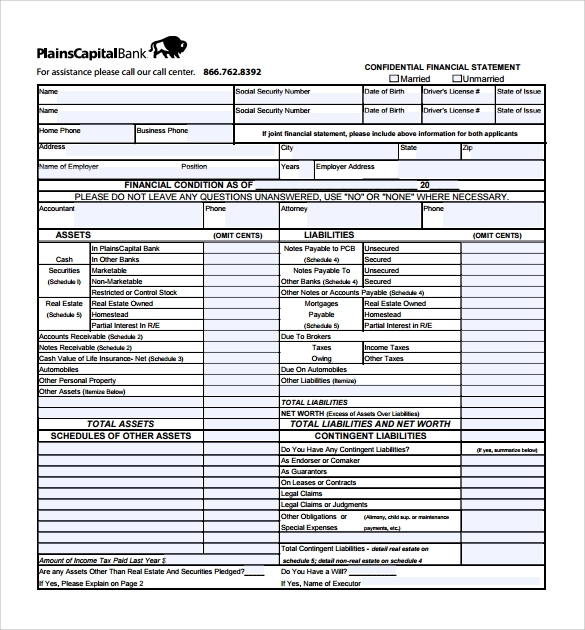 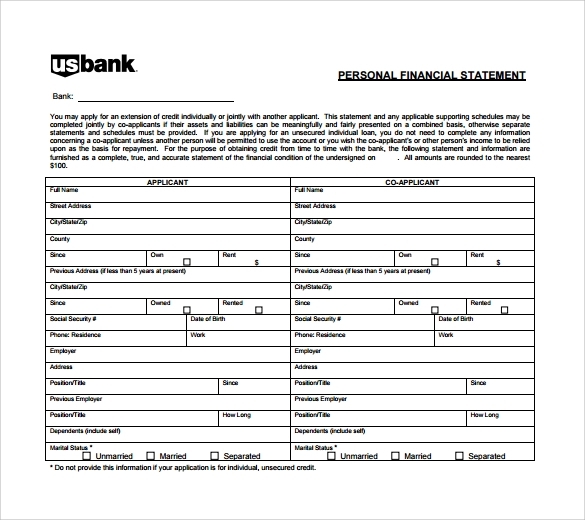 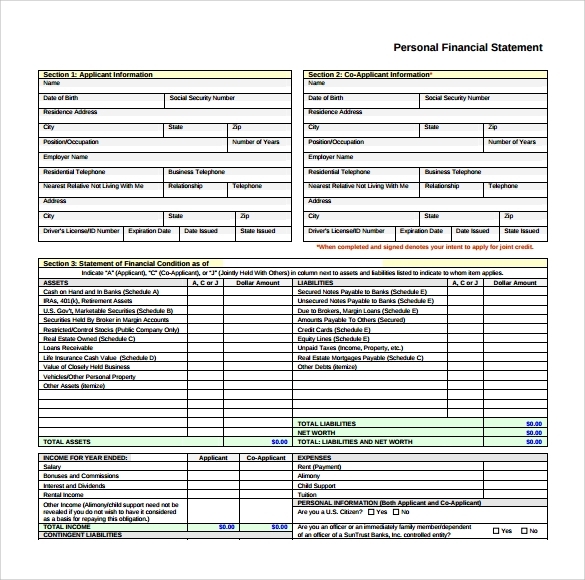 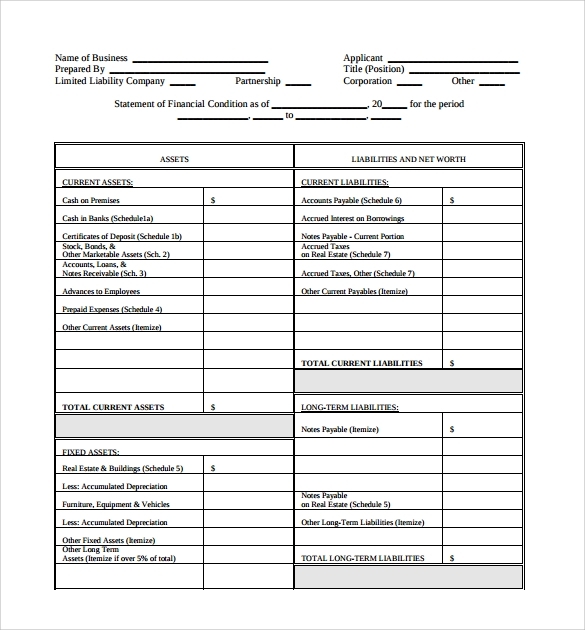 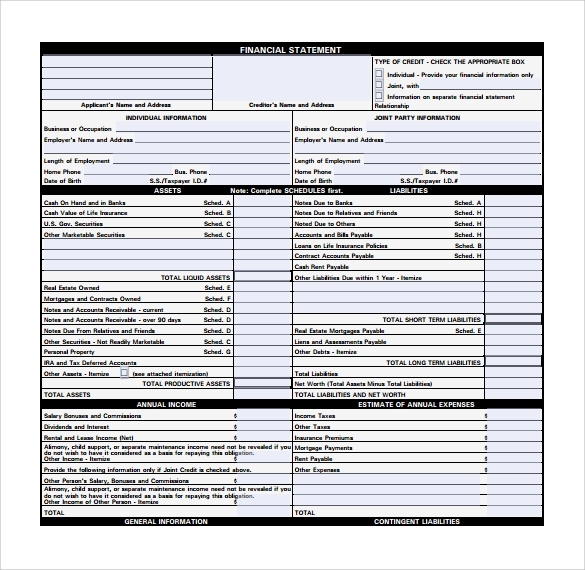 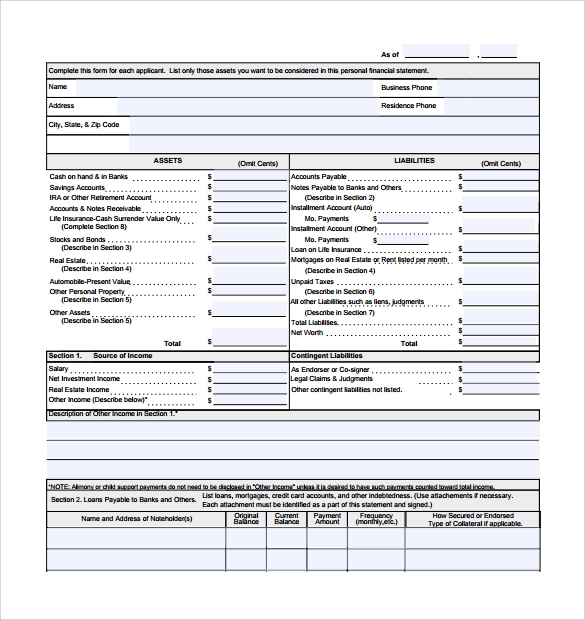 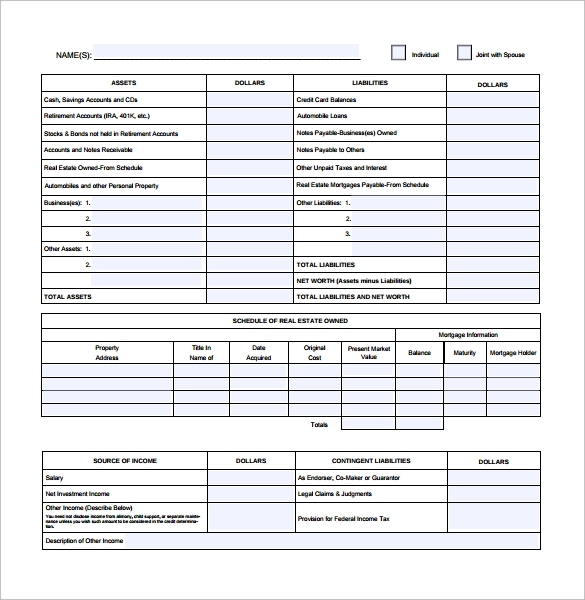 A personal financial statement form showcases the financial status of a business or an individual. 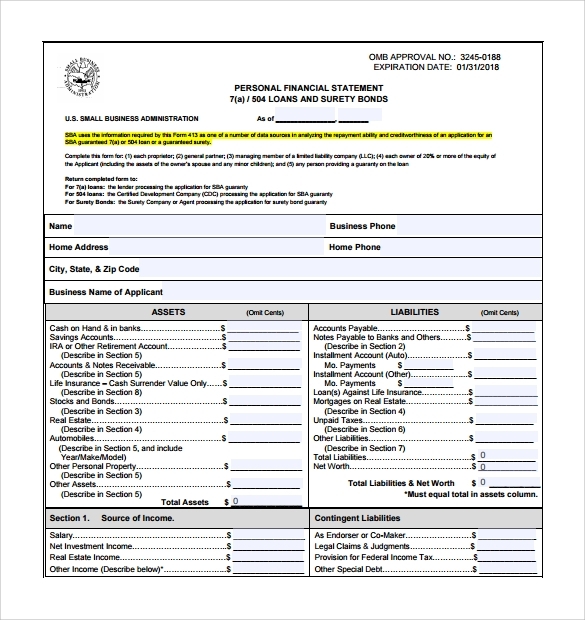 When an investor or a loan provider demands to know your credit worthiness or Financial stability this statement gives a complete understanding of where you stand. 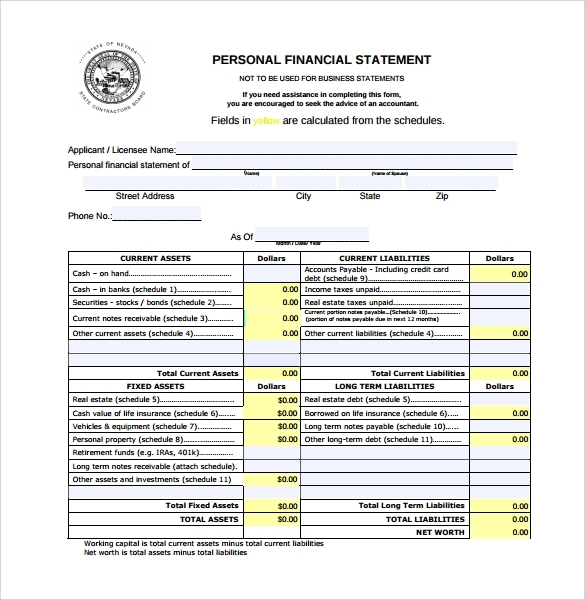 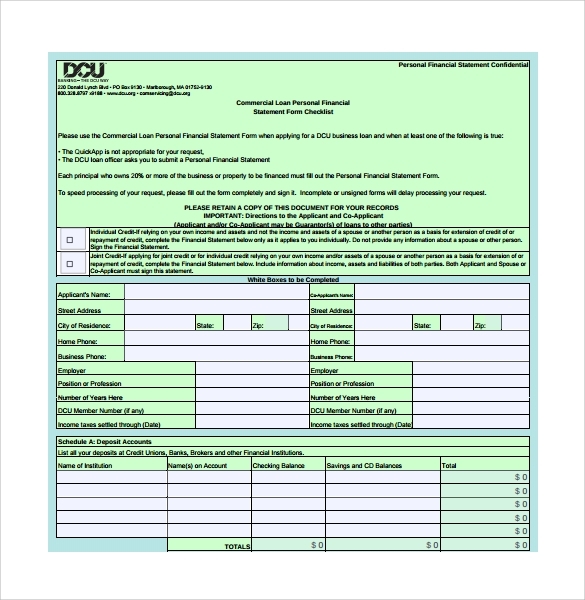 Personal information such as your complete name, address, identification number will be i­ncluded .Your assets and liabilities and amount of current debts and regular income will also be included in the form so that the recipient gets a clear picture.The net-worth is calculated by subtracting assets from liabilities. 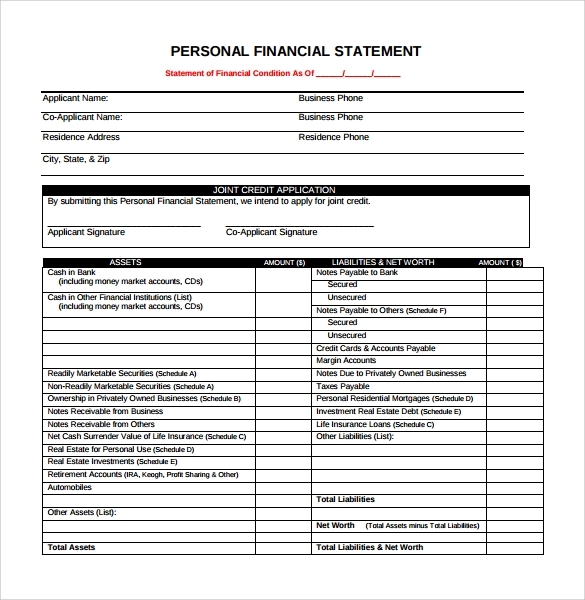 Accuracy of the Sample Income Statement Format is most important. 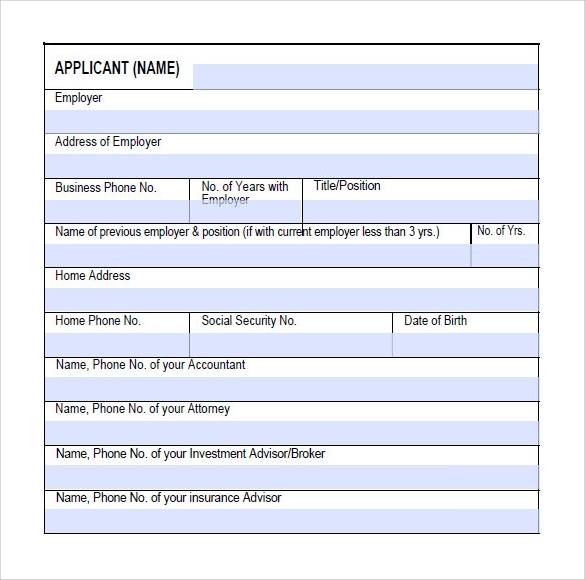 Hence recheck to compose an accurate statement that assures the recipient to have faith in your dealings.